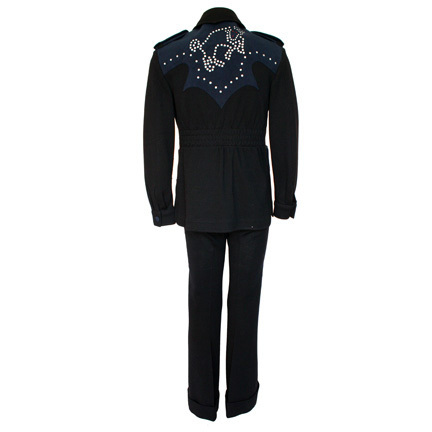 This two-tone black and blue two-piece suit was worn by the legendary "Godfather of Soul", James Brown. 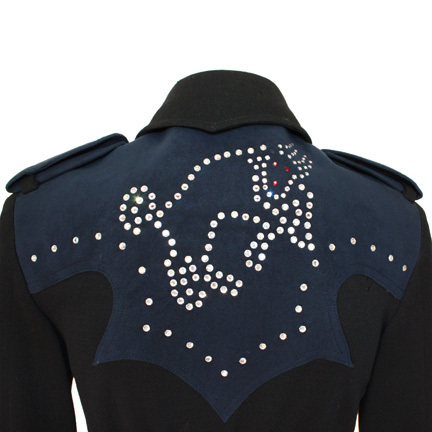 The fitted button front jacket with shoulder epaulettes, buttoned cuffed sleeves, and oversized patch pockets has a shaped blue suede yoke and pocket appliqués embellished with a small bull on each shoulder and the symbol for Taurus, Mr. Brown’s astrological sign, on the pockets in rhinestones, and features a large rhinestone bull on the back yoke. 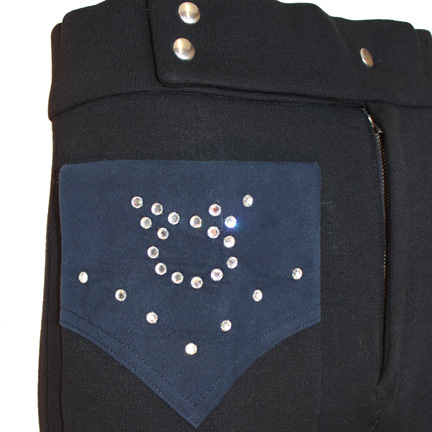 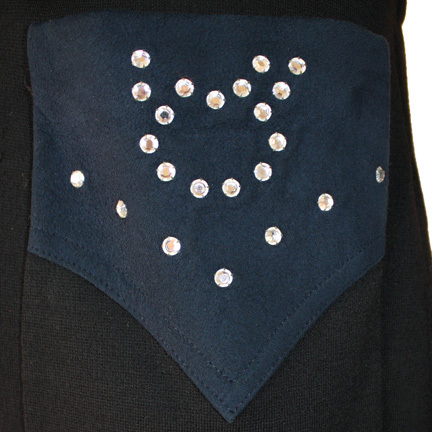 The tab front trousers have a right front patch pocket with the same suede and Taurus symbol rhinestone detailing, and cuffs. 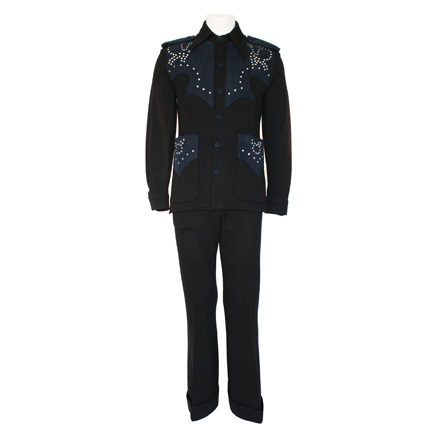 The suit came directly from Mr. Brown’s estate and is in very good condition. 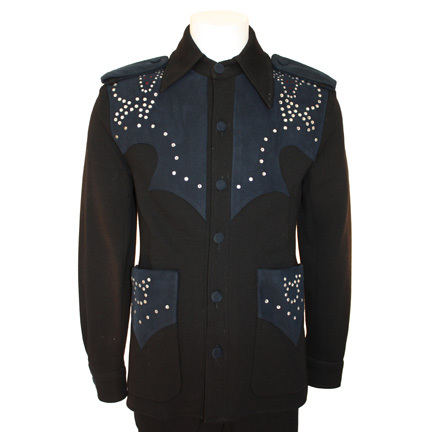 Presented by The Golden Closet, your premier source for iconic screen used movie and television wardrobe, props, and collectible music entertainment memorabilia.